When we opened our doors back in 2014 we always knew we would be a “fit first” bike shop, and that means tackling some of the toughest fitting problems. One of the “sore” subjects that we tackle are women cyclists and their soft tissue discomfort. That’s why we were and still are the areas only gebioMized pressure mapping centers, we take fitting very seriously. 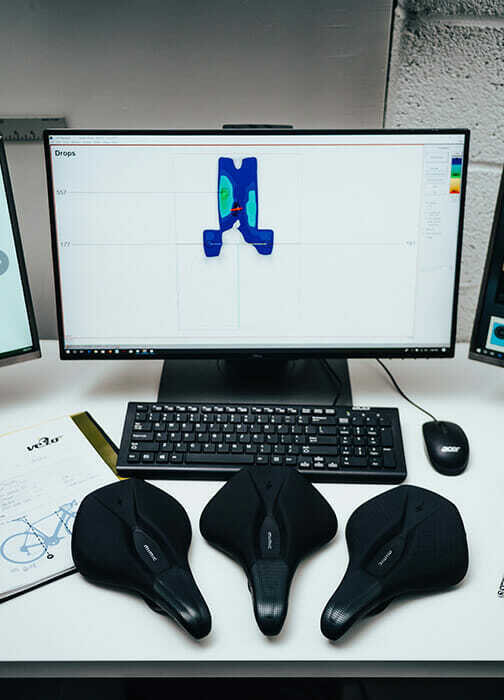 gebioMized provides an unparalleled analysis of bike fit and saddle pressure and with the arrival of Specialized’s Power Saddles with MIMIC we can offer our women customers a solution for their discomfort. Specialized’s all new Power Saddle with MIMIC was developed by one of the world’s foremost experts on bike fits Dr. Andy Pruitt. Dr. Pruitt developed MIMIC as a multi-density foam that reduces pressure and provides both structural and anatomical support for soft tissue. At the nose, soft foam eliminates pressure. At the rear, firmer foam provides sit bone support. 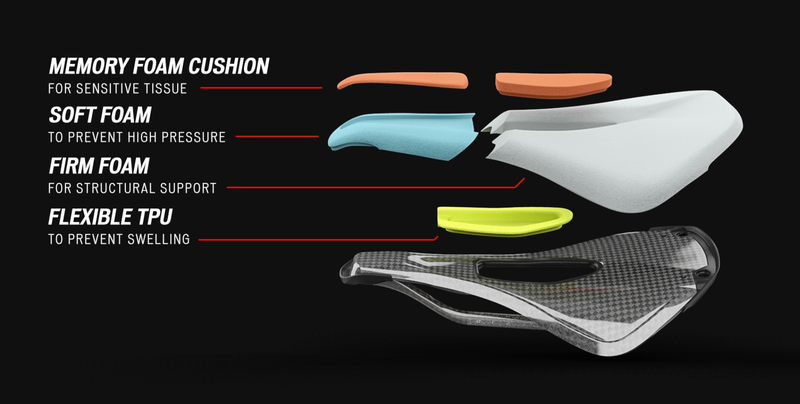 And in the cutout, soft memory foam delivers anatomical support to prevent soft tissue swelling. 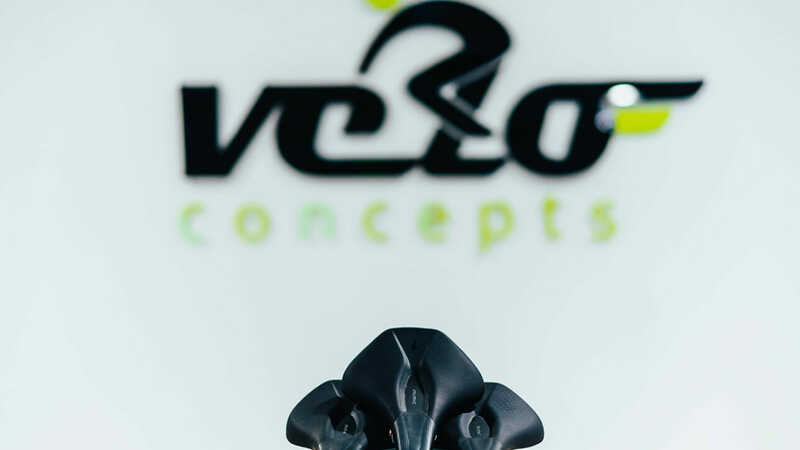 However at VeloConcepts we do more than just recommend or even demo a saddle. 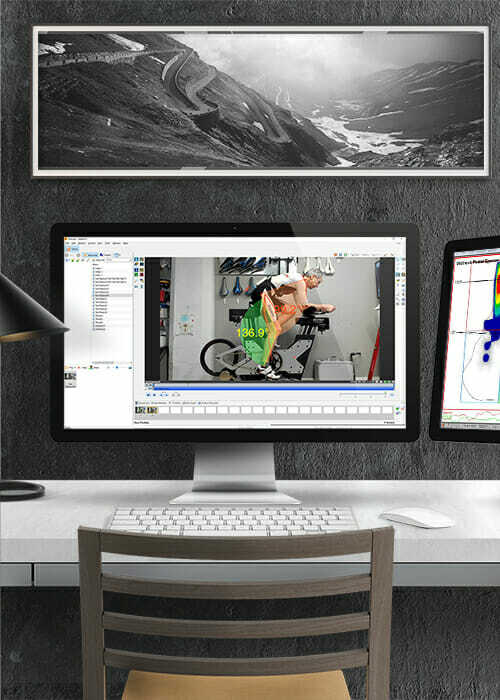 We use the best diagnostic and quantitative analysis tool around to analyze the saddle/rider interaction, with our gebioMized pressure mapping tool. gebioMized is a thin, flexible film comprised of 64 sensors that wirelessly transmit saddle pressure data to a computer. From this measurement we can analyze the pressure distribution while in different seating and handlebar positions. Allowing side by side comparison of various fit positions, saddles or other changes. This tools provides us the quantitative feedback necessary to ensure the rider has the optimum position on the bike. Beyond isolating areas of high pressure, gebioMized allows for a full analysis of the rider/saddle interaction. 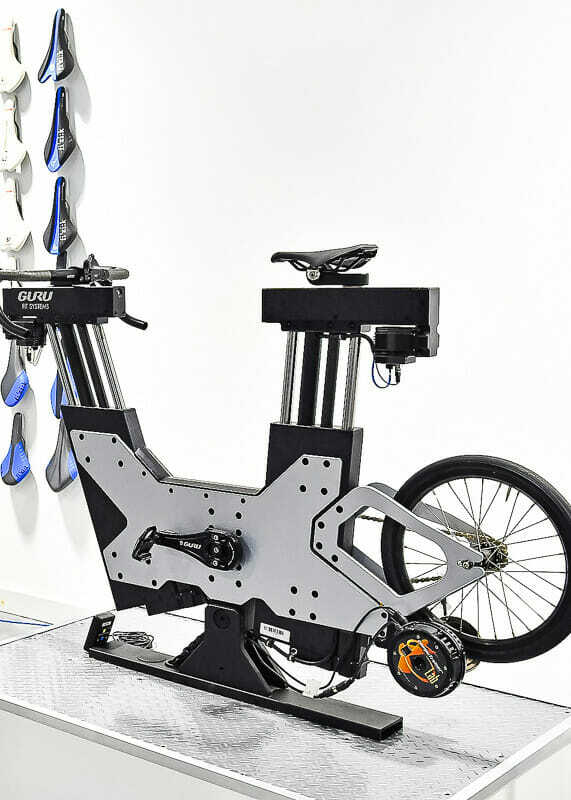 This tool provides a visual display of how a rider “sits” on the saddle. It allows us to observe not only the pressure on the saddle but how the rider moves on the saddle and to diagnose other issues such as too far, too aft or more importantly not sitting square on the saddle.